Known as “The Empress of Golf,” Alexa Stirling Fraser was one of golf’s earliest superstars. She won the US Women’s Amateur in 1916, 1919 and 1920, and the Canadian Women’s Amateur in 1920 an 1934. Stirling also won three Women’s Southern Amateur titles. Born Alexa Stirling on September 5, 1897, in Atlanta, Georgia, she learned golf at East Lake. Like Bobby Jones, her instructor was Stewart Maiden. At age 13, she was low qualifier in the Women’s Southern Golf Association Championship. The Dixie Kids: Perry Adair, Elaine Rosenthal, Bobby Jones and Alexa Stirling. Stirling’s father apparently did not let her play with Jones very often, fearing his profanity and temper. Stirling won her first Amateur title in 1916. 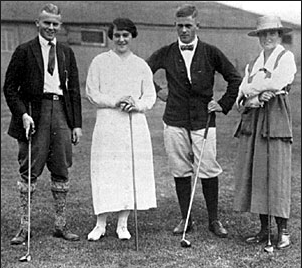 During the first World War, Stirling, Bobby Jones, Elaine Rosenthal (Reinhart) and Perry Adair toured the United States as “The Dixie Kids,” giving golf exhibitions to raise money for the Red Cross. Adair, also from East Lake, won the 1921 and 1923 Southern Amateur and 1922 Georgia Amateur championships. 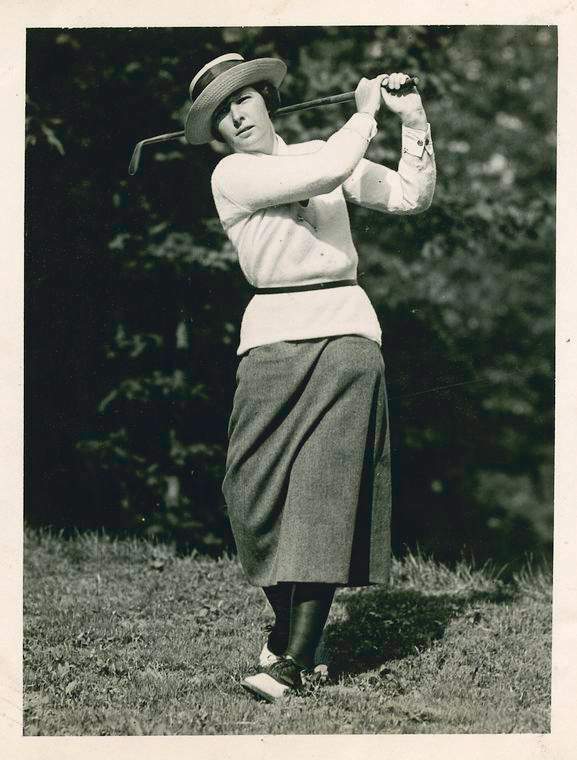 Rosenthall was a three-time Women’s Western Amateur champion, and runner up in the 1914 US Women’s Amateur. The foursome was occasionally joined by Walter Hagen and Chick Evans. Jones, Stirling, Rosenthal and Adair at an exhibition in Montclair, New Jersey on behalf of the Red Cross. 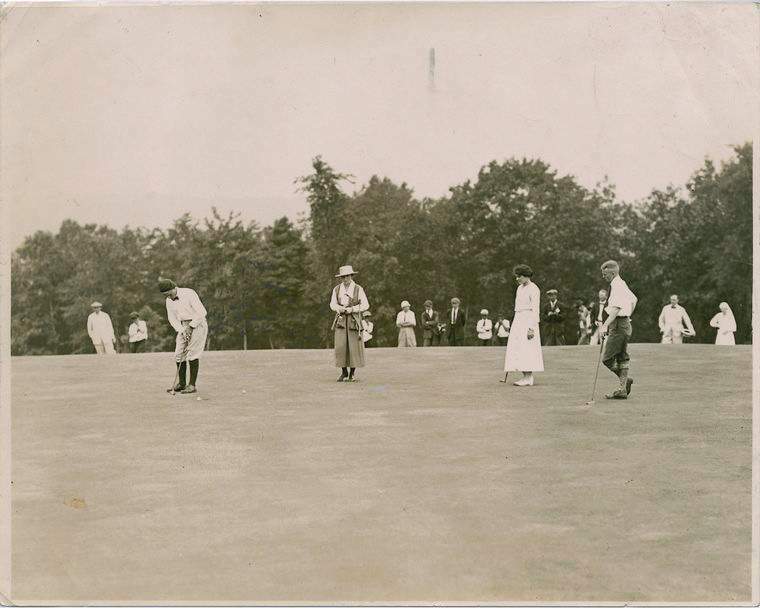 No US Women’s Amateurs were held in 1917 and 1919 due to the war, but when play resumed in 1919, Stirling won again. Her title the following year made it three US Women’s Amateur victories in a row. Stirling was runner up in 1921 1923 and 1925. Stirling won the Canadian Women’s Amateur in 1920 and again in 1934. She also finished second in 1921 and 1925. Stirling married Canadian Doctor Wilbert Fraser in 1925, and lived out her life in Ottawa. She was ladies champion of the Royal Ottawa Golf Club nine times. Stirling Fraser was the only person given an honorary membership at that club other than the Governor General of Canada. In 1950, Stirling Fraser was named to the Ladies PGA Hall of Fame. Alexa Stirling Fraser died April 15, 1977 at age 79.